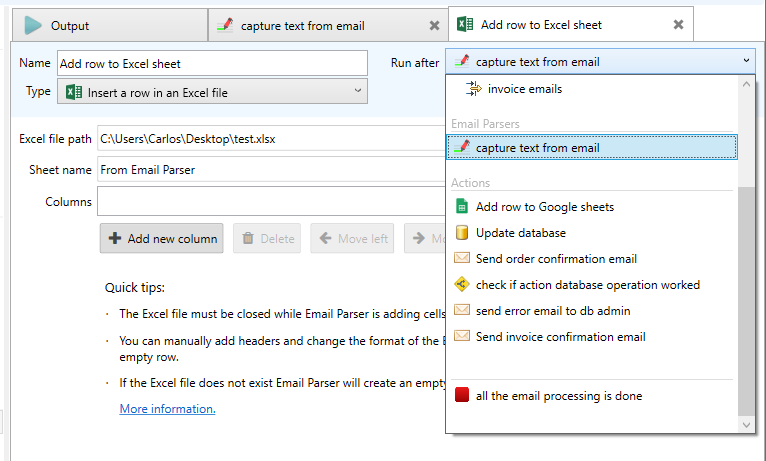 Email Parser connects one item to the next using the arrows you can see in the left panel. 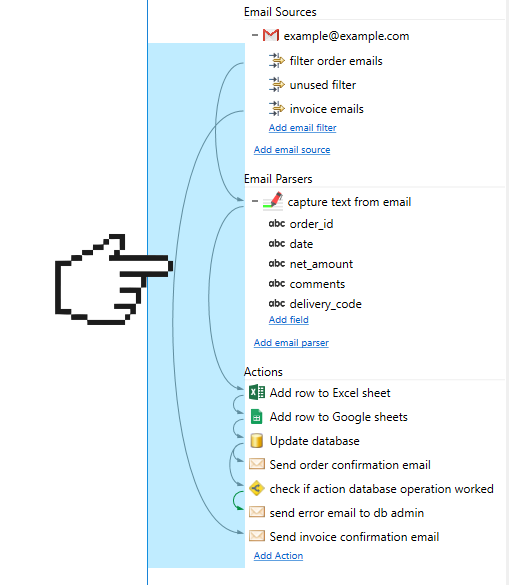 When an email is received Email Parser will follow these arrows and run the items one by one. What happens if an item has no flow arrows pointing to it? It will never be run. Email Parser will ignore it. How can I change the flow arrows?